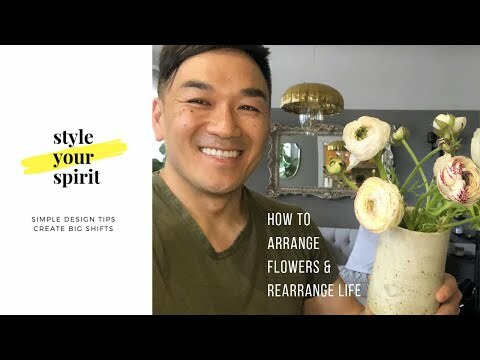 Several of you have asked me to create a video about the art of arranging flowers. This led to a bigger discussion around how to pick flowers, which I created a video about. I've seen people buy gorgeous florals, just to put them in a vase without cleaning the flowers or cutting off the excess leaves. Sometimes they're placed in a beautiful vessel with the plastic still wrapped around them, Okurrr. Here's a summary of how to arrange flowers that will wow your senses and friends. 1. Wash your flowers. Nobody wants dirt dropping on the table. This helps you debug the flowers from any critters that could've been hiding in the petals. 2. Cut off excess stems and leaves. What are you feeling at the moment? Cold, warm, simple, extra? If you're feeling cool or industrial, choose a metal vessel. If you're feeling warmer, choose a ceramic vase. If you want to keep it simple, use a mason jar. You do you, boo. 4. What kind of arrangement are you in the mood for? Would you like to see as the final product? If you're feeling the minimalist vibe, keep it simple. This first arrangement is simple — just a few sprigs of florals in a beautiful bowl. 1. If you're feeling boho, whimsy, wild or extra, you have to play with the petals with your phalanges a bit more. 2. Start from the outside of the vessel in. Choose larger florals to frame the outside of the vase, then work inward, filling in empty spots. 3. The middle should have the flowers you want as your focal point. 4. Keep filling in empty spaces until you feel happy. As I was arranging my flowers, I would fill in the vase, then take some out. I thought about how I could also edit out stuff from my home. I ended up getting rid of a carful of rugs, ottomans and decor! I was so in the moment and felt so much joy. It reminded me to take my time, be present and embrace every moment. This got me thinking, "What am I rushing to do in life?" Slow your roll, boo. Note to self, Toan: Get out of your own bubble + there is no perfect way to do it. Do what? This is week two of my new Life + Style series, "Style Your Spirit," where I offer simple interior design tips that create big spiritual shifts. Think of it as design and spiritual tips rolled up into a wabi sabi (perfectly imperfect) video and blog. I'm a perfectionist who has worked on video productions with big budgets and expensive gear, so sharing on-the-go videos in a guerrilla-style "imperfect" way was hard for me to get over. But as my former TV reporter/talk show host mentor, Robert Handa, told me as an intern — GET OVER IT. This was the same message creative people in my life have long been telling me. So many of you have said you wanted me to share interior design tips and some inspiration/spiritual life lessons, so that is how this was born. I take this lesson of being in the flow in all my videos now, including this one, on the art of being in the present moment and flower arranging. 1. Slow down, be in the moment, enjoy every moment of what you're doing. 2. Just like floral arrangements, there is no perfect way. Just go with the path that brings your senses pleasure and joy. 3. Don't get stuck on perfection. Nature is perfectly imperfect. That's the wabi sabi way. Wondering how I arranged these flowers? 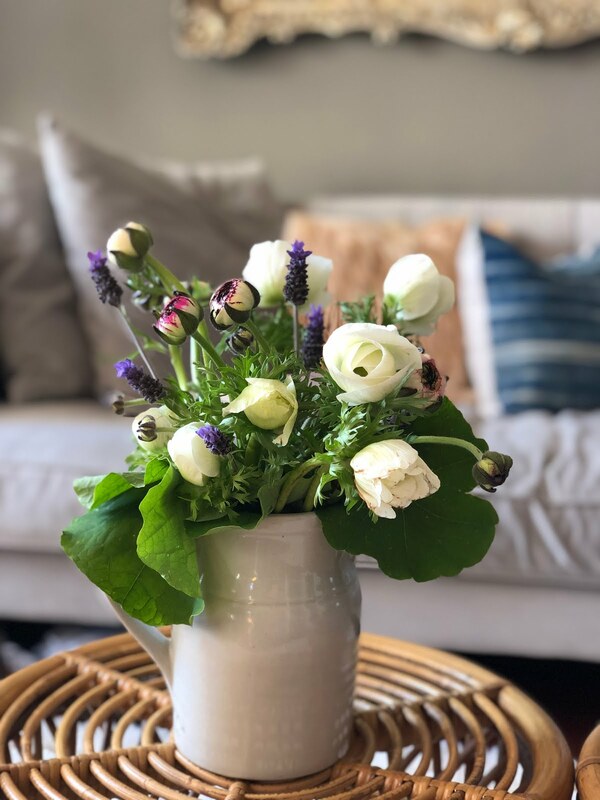 Stay tuned for the next episode, where I talk about how to arrange flowers that suit your current place and mood.